Would you like to work for Nottingham’s most exciting hotel and restaurant? 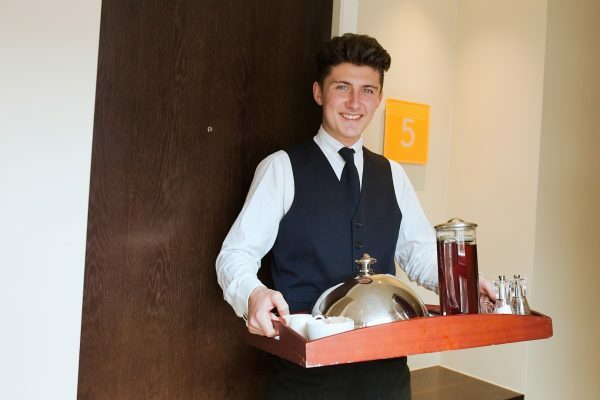 If you have an outgoing and charming personality, enjoy guest contact, have a flair for quality and are prepared to work hard then we would love to hear from you. At Hart’s we love to celebrate and reward the individual. We believe every one of our team members has a contribution to make and personal touch to share with our guests. We’re always striving for excellence and know that if we invest in our team members, they’ll perform to the highest standards. Previous experience is not always necessary but a friendly and enthusiastic approach is vital. There are occasionally positions at Hambleton Hall, our country house hotel, please contact Chris Hurst, General Manager on 01572 756991 or email your CV to [email protected].